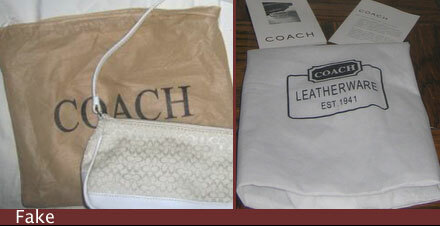 If you are considering on purchasing a handbag from a questionable source, then go to the coach website or even go into a reputable store that carries Coach products. 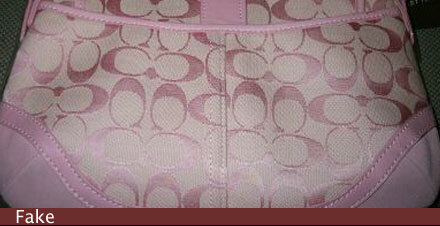 The simplest way in determining authenticity would be examining the layout of the signature C’s. 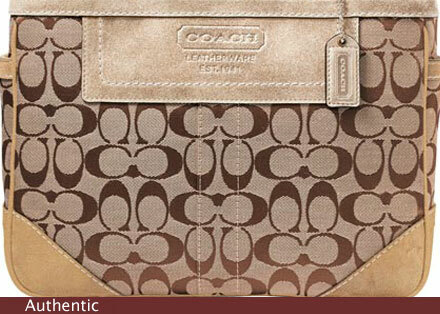 The C’s should be lined up perfectly to the center. 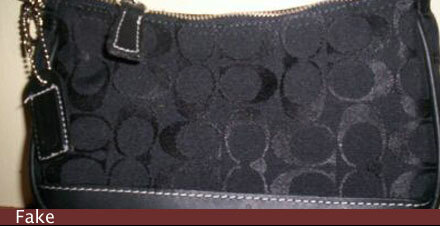 However, it is not uncommon for the mini-signature C collections to be off by tiny bit only on the sides. 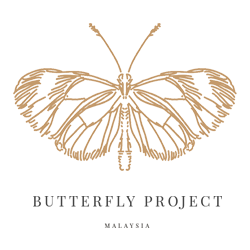 So don’t panic. 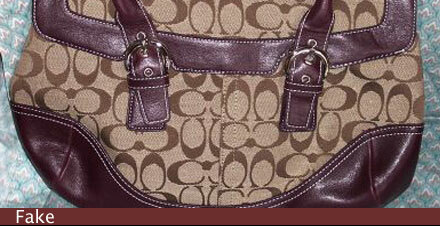 If the overall figure of the bag appears to not resemble one that coach would produce, then chances are it’s a replica. 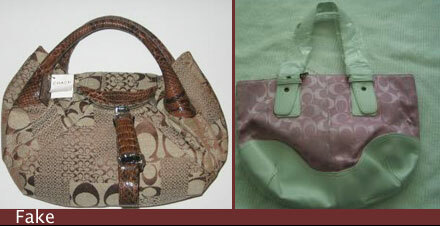 You can tell by not only the style of the bag, but also the pattern. 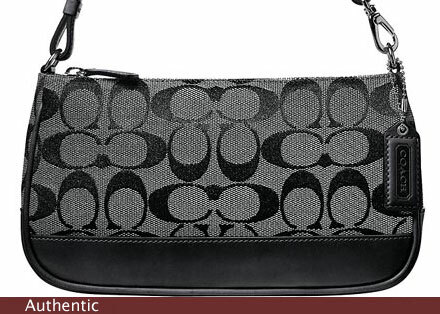 If the pattern is not the famous Coach signature C, but rather a different letter, such as an O or a G then it’s an obvious fake. 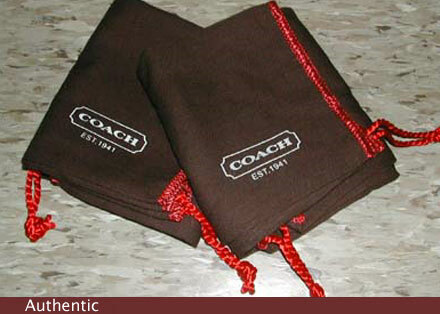 Dust bags should be dark chocolate brown with a red drawstring. 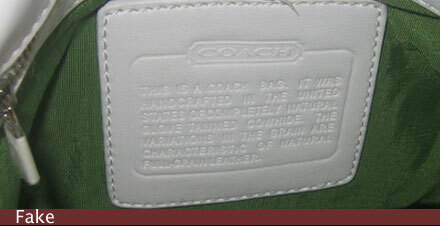 In the bottom right the words in all caps “COACH EST.1941″ written in white. 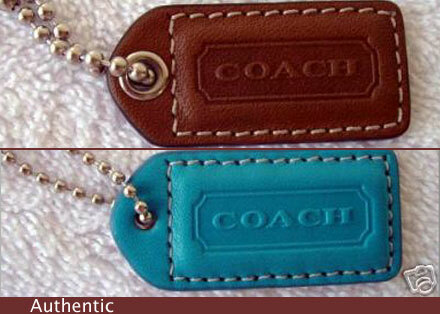 Coach does not use cheap material to make these. 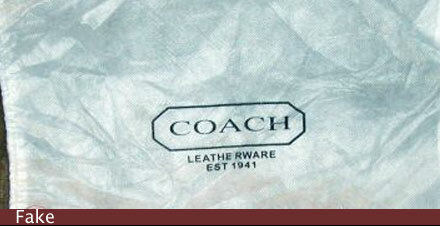 There are many replica dust bags floating around on the Internet. 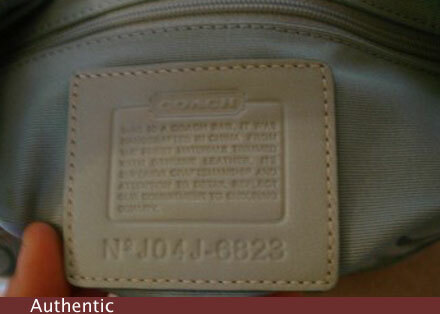 So if you see one stay away, chances are that bag is fake. 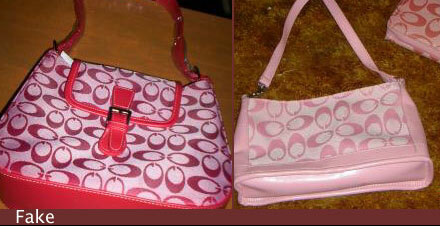 Make sure that the authenticity number matches up with the style of the bag that you are interested in purchasing. 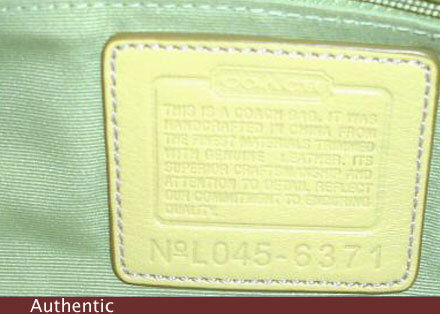 If you are about to purchase from an unauthorized dealer, call Coach, their representatives will be more then willing to verify if the authenticity number matches the style.